Curl up in the Beautyrest Heated Ribbed Microfleece Blanket with Secur Comfort Technology! Designed to virtually eliminate Electro Magnetic Field emissions. The soft flexible wires and ultra-soft fabric ensure you comfort. 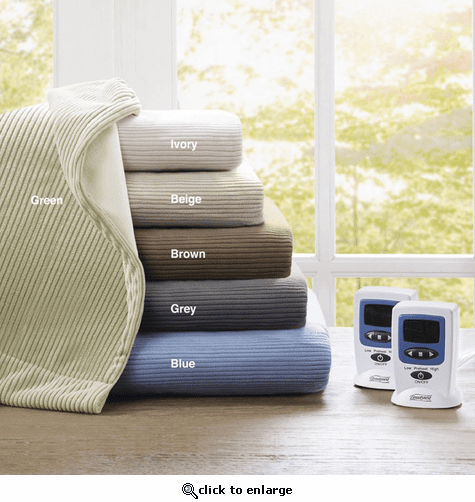 This heated blanket features a 10 hour auto shut off, and 20 temperature setting control. Each Twin and Full size blanket comes with 1 controller. Queen and King size blankets come with 2 controllers.